Here’s a great way to save on breakfast! 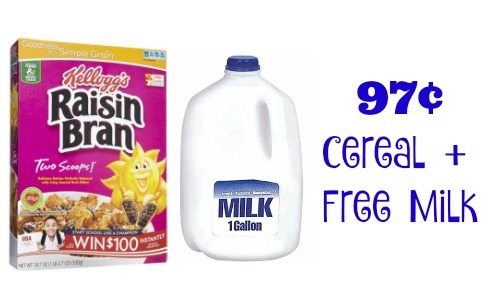 You can get 97¢ cereal plus FREE Milk at Rite Aid starting today. This deal will run all week (or until they are sold out at this price). Pair an in-ad coupon, Kellogg’s coupons and a Checkout 51 offer to get this fun deal.